What you imagine your fans to do when they listen to your songs. Air guitar. As musicians, our primary focus is on making music and finding ways to grow our fan base. As entrepreneurs, our primary focus is on expanding our business and grow our revenue streams. Other things we need to do to grow are marketing and promotion. We turn to social media like Facebook and Twitter to make this easier. Like you, I get distracted by the amount of other things to do that take my time, energy, focus, and attention. Do you find yourself distracted, especially online on places like Twitter and Facebook? You’re not alone. While trying to use these platforms to let your fans know about your next gig or product offering, you find yourself swamped with hundreds of videos, pics, and other posts that take your focus away. What if you had just one little secret that allowed you to get the word out and grow your fan base that didn’t require a ton of time or money? And what if I told you not just one, but a few different ways to do this, each producing their own degrees of success for you? Sounds like a winner, so let’s cut to the chase and get you rolling! I’m all about simplifying how you do things for growth and success. It’s easier to remember when the process is just one or two steps. And when we achieve results in a timely manner, it makes repeating those easy steps even easier to do because you know it works. Here’s one way to grow your audience today: Go on Twitter and engage with just one or two of your followers. Pick someone you don’t know well and start a conversation with them. You can just ask a question or say hello. People are more interested in themselves than anyone else. If you want to get someone’s attention, make the focus on them instead of on you. A conversation on Twitter gets the person (fan) more engaged with you as a human and not just a musician they happen to follow. Somewhere in the ongoing chat you can mention a song you have that you want to share with them and send them a link. Or you can ask them a question about the music they’re listening to. 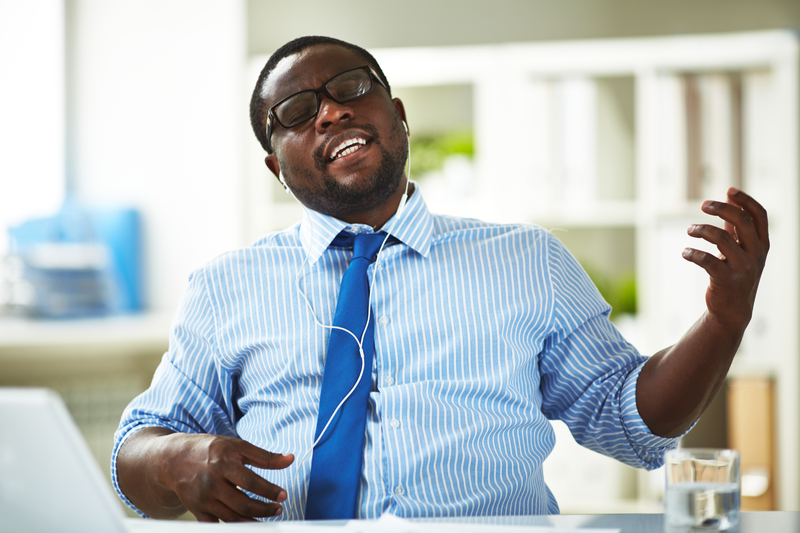 Once a conversation is taking place, you have a more receptive avenue to get your music in front of an engaged participant. That’s one more engaged fan, and all it took was a focused approach instead of a blanket post sent out to no one in particular. Here’s one more simple way to grow your fan base and have the potential to impact a greater number of people: listen to an indie radio station online who plays music similar to yours. Give the thing you want to receive. It’s a principle Ghandi promoted. Spend a little time enjoying their programming and finding something about the station you really enjoy. Then go to the station’s Contact or About Us page and find the email for the Music Director/Program Manager. Send them an email saying how much you enjoy their programming today, in particular the part you heard that really stood out. You can ask if they accept music submissions or requests and then sign off. The purpose of this email is two fold. 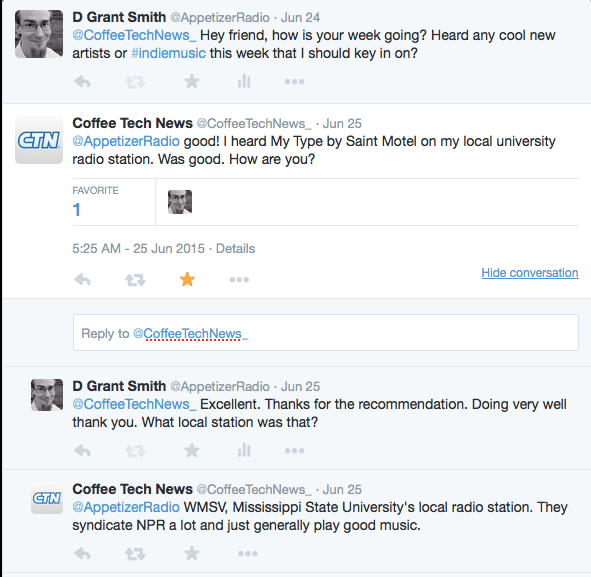 One, you are identifying a radio station that may be a good fit for airplay for you. Second, you’re making a direct contact with a station manager that is not built around just pitching your music. Station managers get unsolicited emails daily from artists they’ve never heard of, all wanting the same thing. The focus of the emails they receive are usually just on the artist and not on the station programming, or how the artist’s music might be a good fit for their programming. Remember, a station has an interest in serving their audience great content, not just playing music from someone who sends in a few songs. By taking the approach of being interested in the station’s programming (and praising the people who make that happen), you’re appealing more to the interests of the station manager. It makes them more willing and interested in hearing what you have to say. When you get a reply in your inbox, you know you’ve achieved something, potentially a response that tells you how to make a radio submission. You are now on a more first-name basis with the station manager and have a little more connection to them than just an outsider promoting their own stuff. Both of these tactics are organic ways of building connection. In the social media marketing of modern day, where everyone is their own evangelist, it’s uncommon for people to take a genuine interest in others. But when you do the uncommon thing, you stand out so much more than the herd that is all shouting about their latest thing. It’s a similar principle to what Napoleon Hill taught for decades in his book How To Win Friends and Influence People. To master this simple method, all you have to do is repeat it. Try this every day for a week, then for a month. Look back and see how much you’ve gained and how connected your audience is. Be uncommon. It’s simple to not follow the herd. This way, you avoid stepping in all the crap that gets dropped, and you make out with better connections. Gain more insights into how to communicate with people to get them to take action in my book The DIY Musicians Radio Handbook. While it may seem like just something for musicians and radio, there is a pervasive theme and philosophy throughout the book that anyone can use to gain better attention with real people. Pick up your copy here.